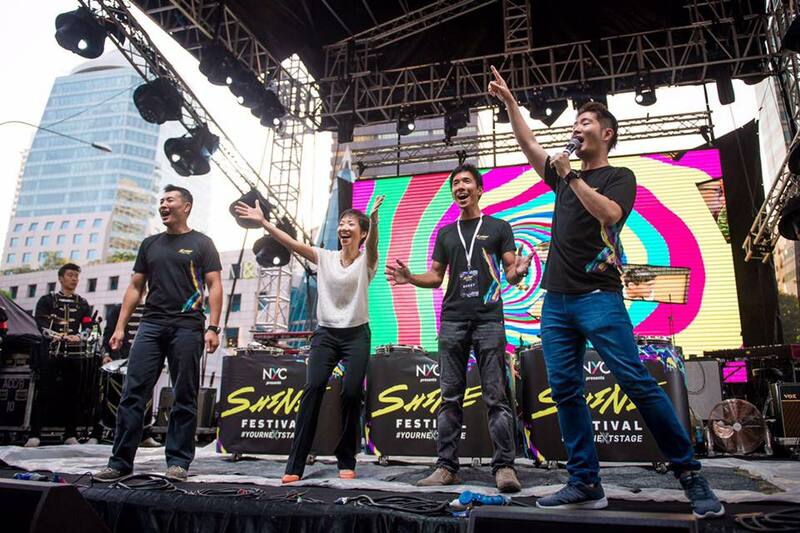 23 - 25 October 2015, Clarke Quay, Singapore | As part of Singapore River Festival's 50th Anniversary, Kult was invited to create a fringe exhibition called 'Urban Artery'. This took place in a historic alleyway close to Circular Rd and the Singapore River. 30 Artists were invited to create artworks inspired by the theme of 'Water'. Everything from Sea Creatures to Conceptual Works and interventions were created and showcased for 10 days during the festival. See some images form the exhibition here. 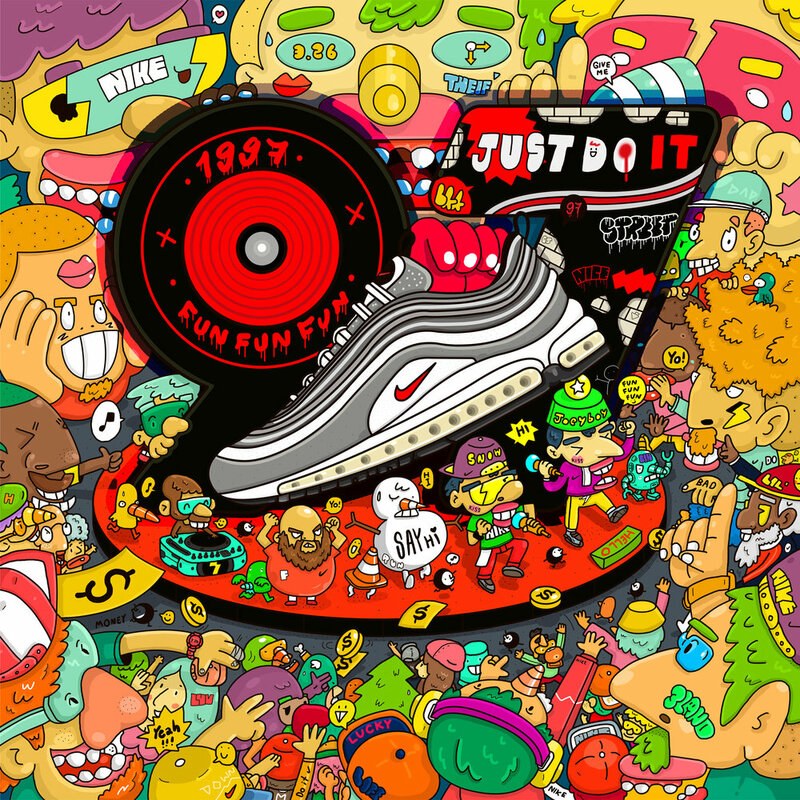 26 March 2015, Singapore | Kult was invited by creative agency BBH Asia Pacific to curate and commission a selection of Thai artists and illustrators to each take on a pair of Nike Air Max from the history of the shoe. To find out more about Nike Air Max Day Out 2015, go here. 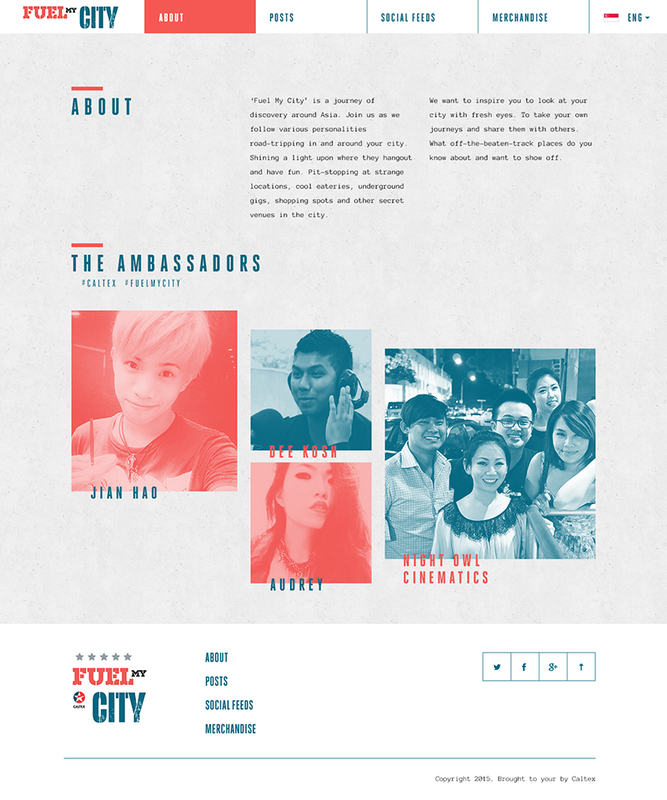 In collaboration with advertising agency Y&R, we have been driving a social media content platform for Caltex. Inviting people to blog about their journeys and share them online and offline in the form of zines. These journeys are designed to inspire and offer insights into Asian cities such as Thailand, Hong Kong, Malaysia and Philippines. To support the website "Fuel my City" Kult has created a collection of Limited Edition Merchandise which can be claimed by interacting with the Platform.